Bay leaf used in ancient Mediterranean cuisine is the aromatic leaf of the plant Bay Laurel (Laurus nobilis). It is also known plainly as Laurel. There are a few different trees from many different countries from which Bay Leaves that are sold in supermarkets are from. In order to make authentic ancient recipes from the Mediterranean region only the Laurel leaf can be used. 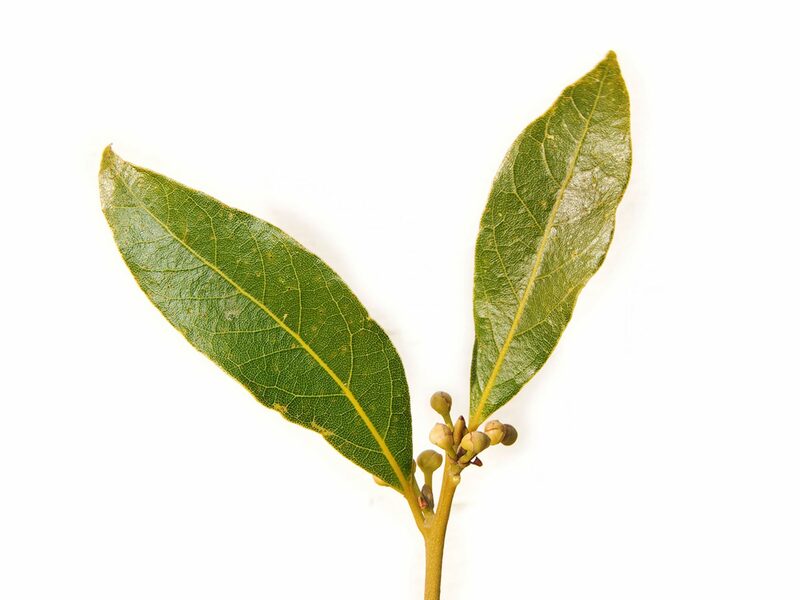 Sometimes the Bay Laurel Leaf is called Turkish Bay Leaf and you will see this label on packaging from many companies. Dried bay leaves are used in cooking for their distinctive flavor and fragrance. The fresh leaves are very mild and do not develop their full flavor until several weeks after picking and drying. The leaves should be removed from the cooked food before eating, because they remain stiff even after cooking, and if swallowed can scratch the digestive tract or cause choking. Most recipes that use bay leaves will recommend their removal after the cooking process has finished. Hey Buddy!, I found this information for you: "Bay Laurel Leaf". Here is the website link: http://www.ancientrecipes.org/bay-leaf-laurel/. Thank you.